One of the great things about Italy is that there are so many regional and local recipes that there is always something new to discover. I have still not run out of ideas that I gathered during our trip to Southern Italy last September. 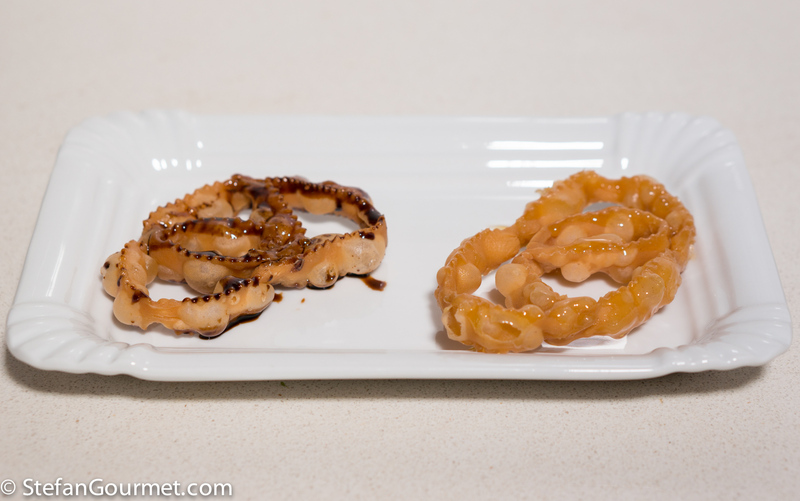 At Taverna Il Cantinone in Vieste, Puglia, cartellate were served for dessert. 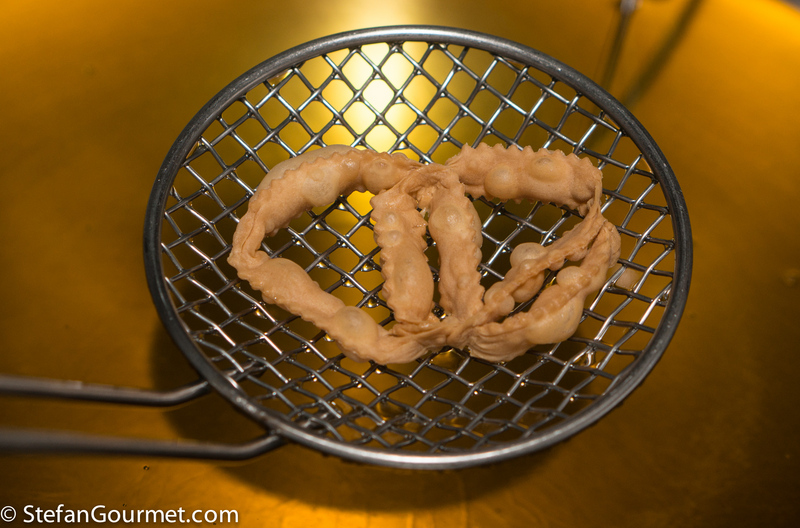 Cartellate are deep fried crispy fritters that are dipped in vincotto or honey, and at Il Cantinone they were not only dipped in honey but also sprinkled with toasted slivered almonds. 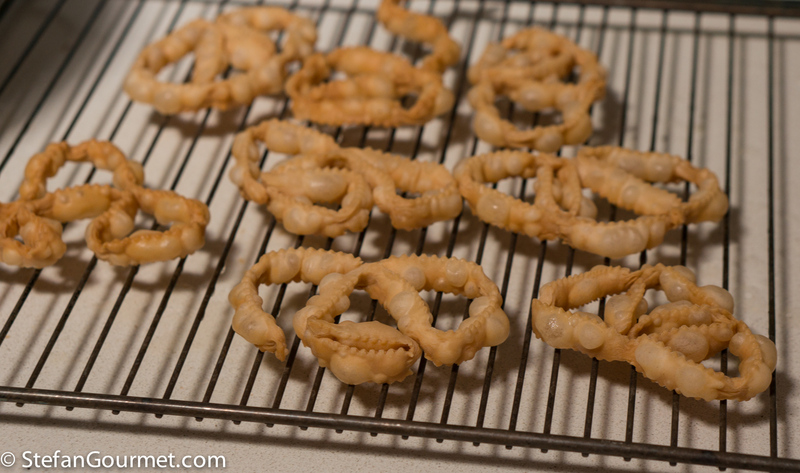 Other variations are to sprinkle them with powdered sugar, cinnamon, or chocolate. 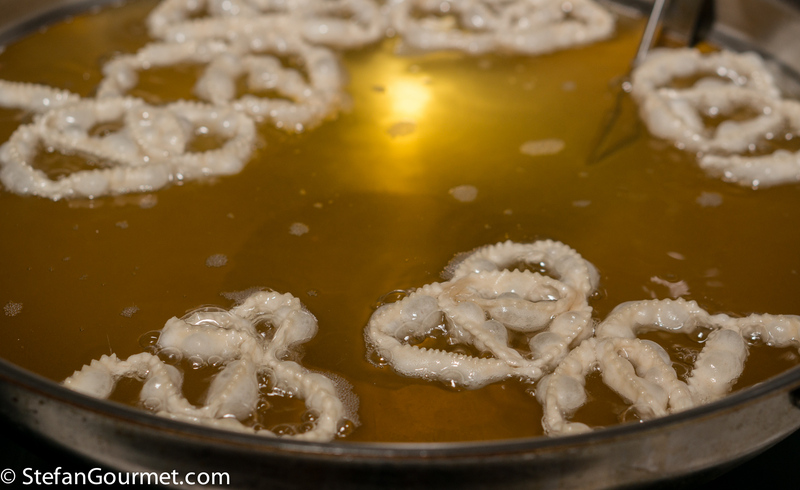 They are a typical Christmas dessert in Puglia. 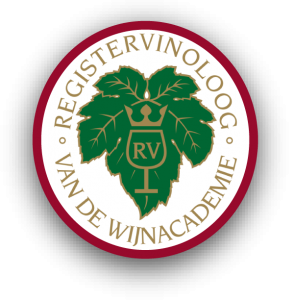 Vincotto is cooked grape most, and is a typical product from Puglia and Calabria that has a sweet but fresh flavor. …to a temperature of about 35C/95F. 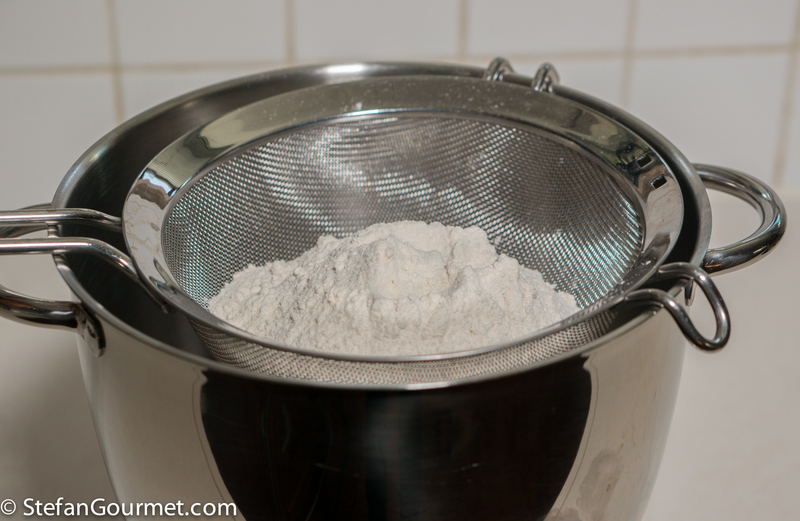 Sieve the flour into the bowl of a stand mixer. 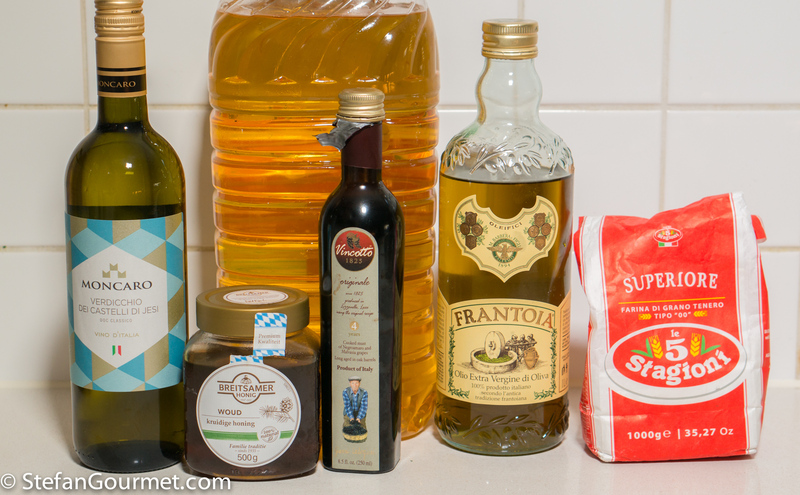 Add the wine and oil mixture to the flour. Mix with the paddle attachment until you obtain coarse crumbs. 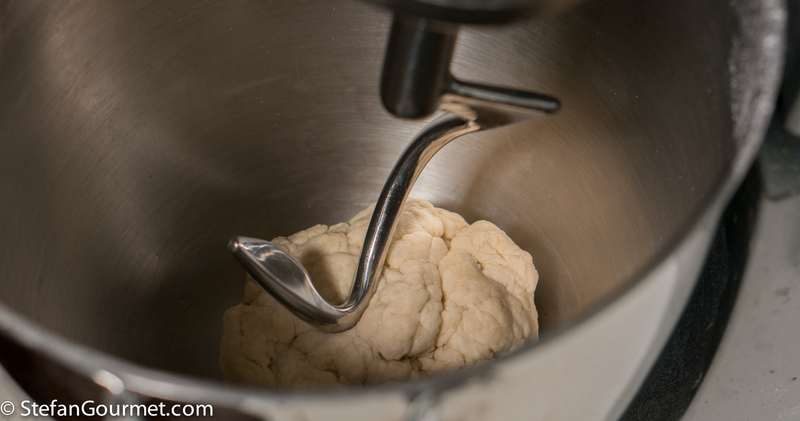 …until the dough comes together. 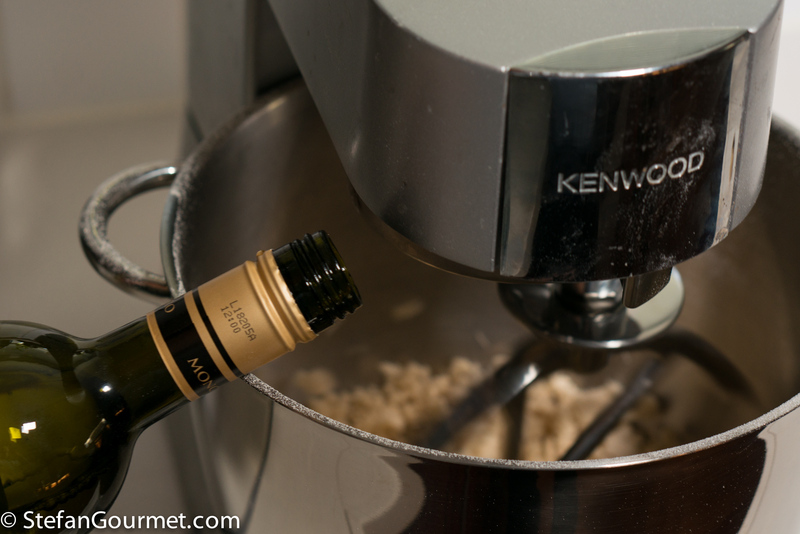 Do not add more wine than necessary, or the dough will become too sticky. 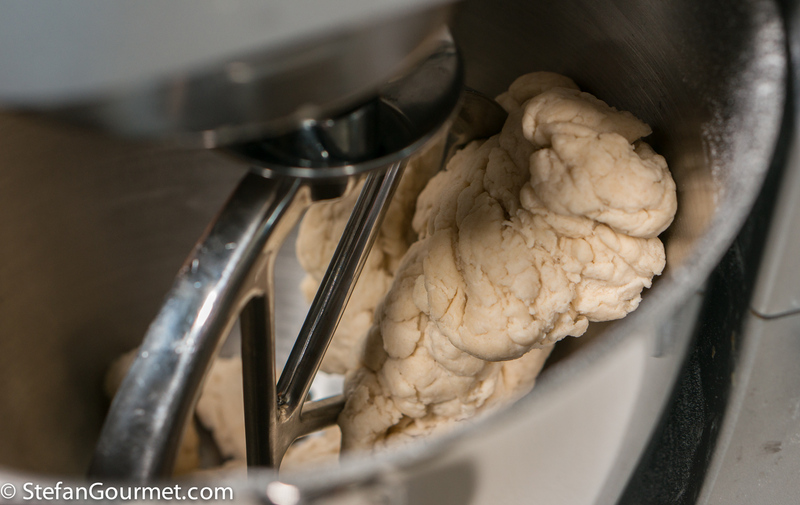 Now switch over to the dough hook, and knead until the dough is smooth and elastic, about 10 minutes. 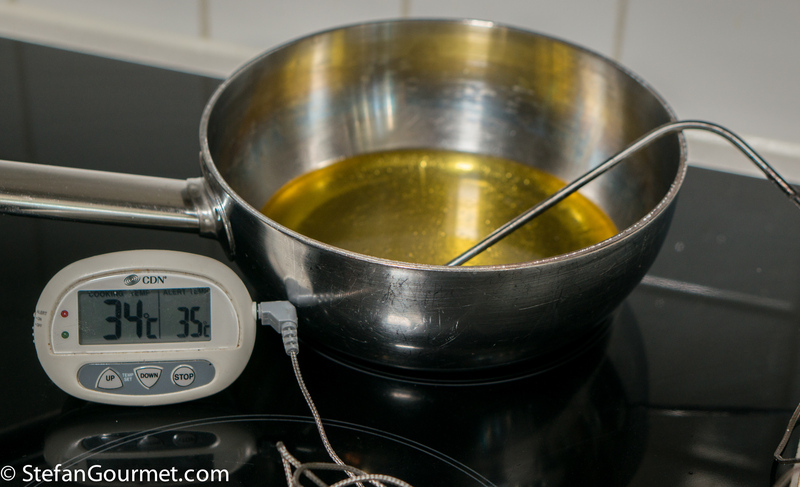 Wrap the dough in cling film and allow to rest for at least half an hour. 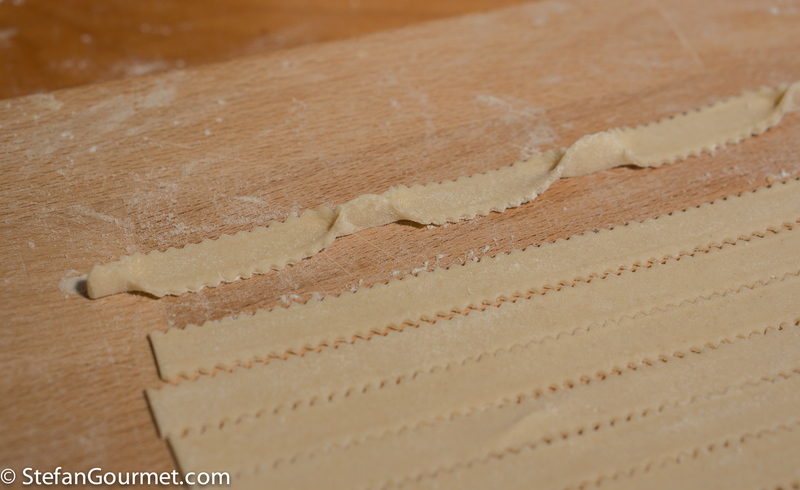 Then roll it out like pasta dough to setting 8 with 9 the thinnest setting. 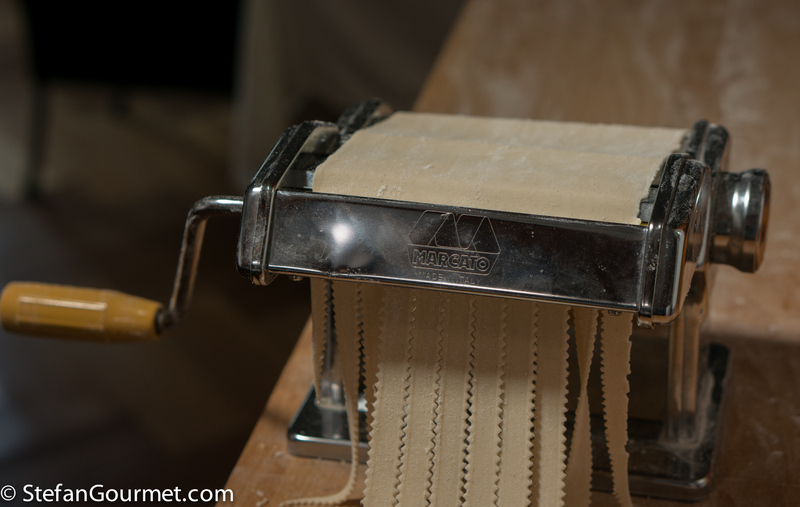 Cut the pasta into ribbons with curly sides using a curved pastry cutter or an attachment for your pasta machine like I did. To use the attachment without the sheet of pasta getting stuck, allow the pasta sheet to dry for a bit, or sprinkle it with flour. Cut into ribbons of 35 cm (14 inches). 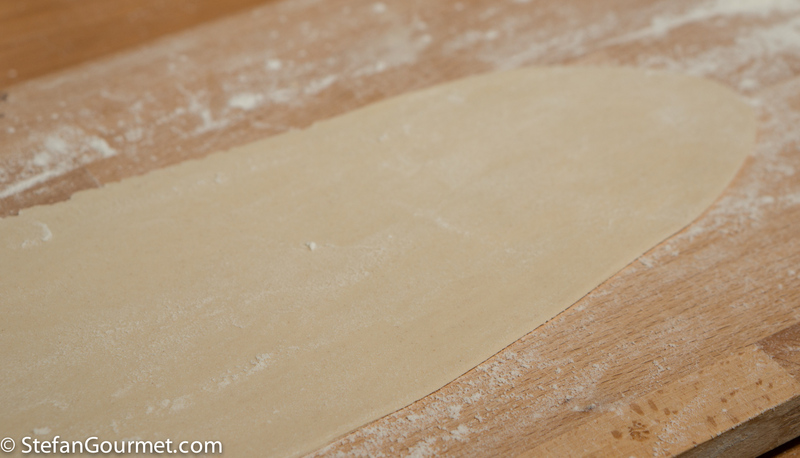 Gather up the trimmings and roll them out with the remaining pasta dough. 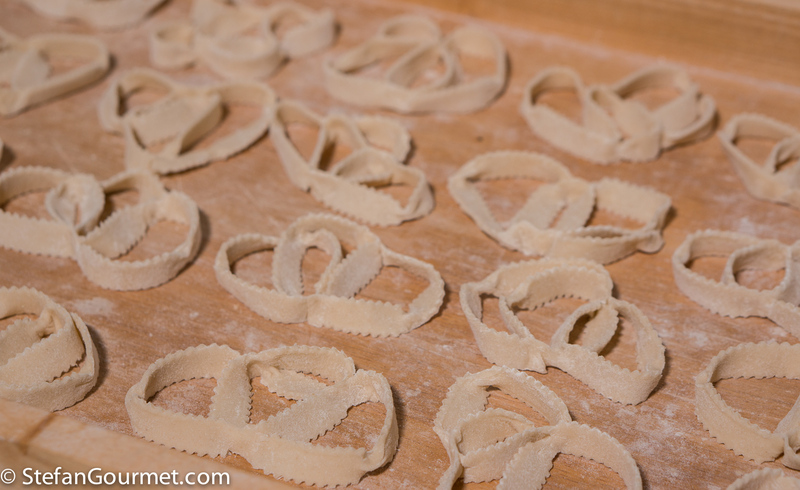 To shape the cartellate, start by pinching the ribbons with your fingers at regular intervals of about 4 cm (1 1/2 inch). 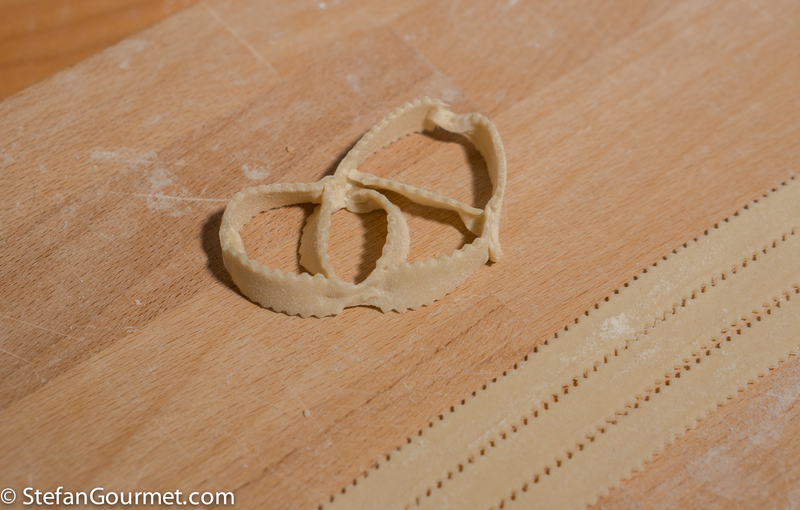 Then set the ribbon upright, shape it into a ‘flower’ and pinch the dough together as needed. 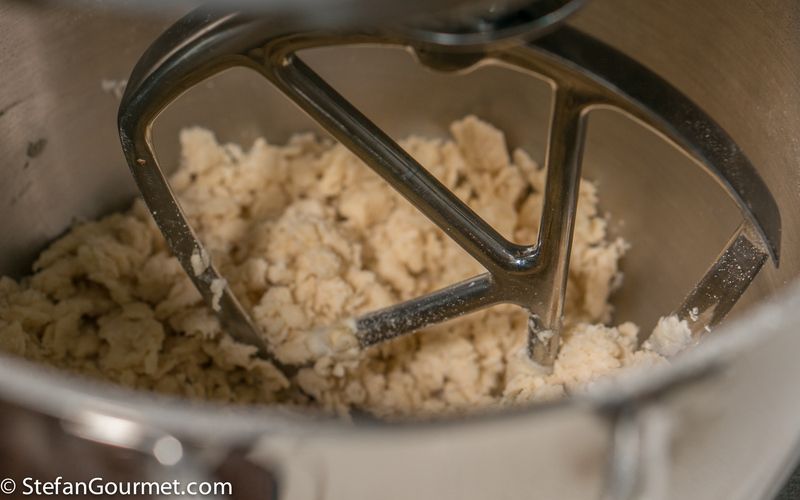 Keep going until you have used up all of the dough, arranging the cartellate on a floured surface in a single layer. Allow them to dry for at least 6 hours. 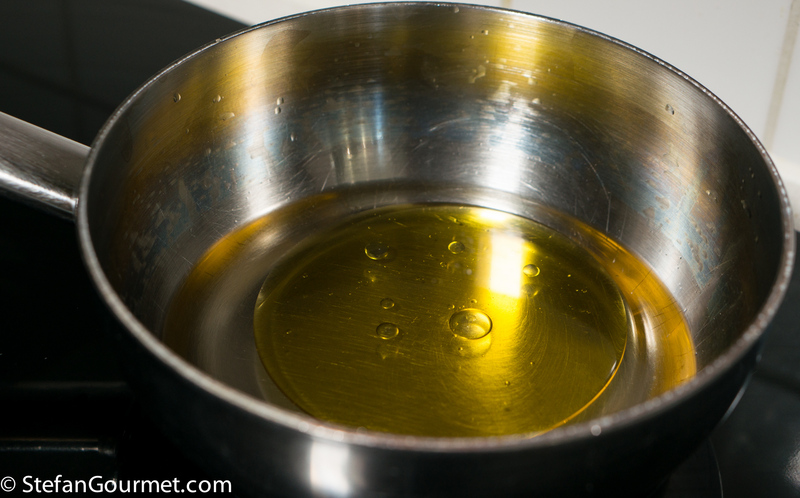 Heat the oil to 170C/340F. 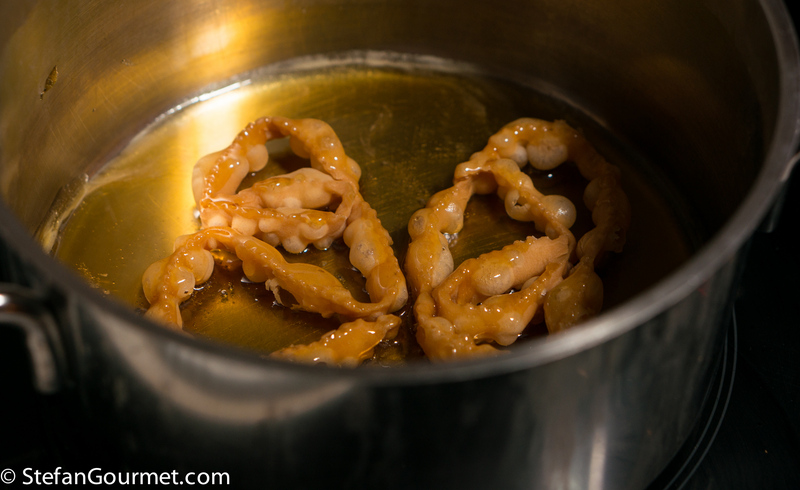 When the oil has reached the right temperature, gently drop a limited amount of cartellate into the hot oil. Turn them after a few minutes. 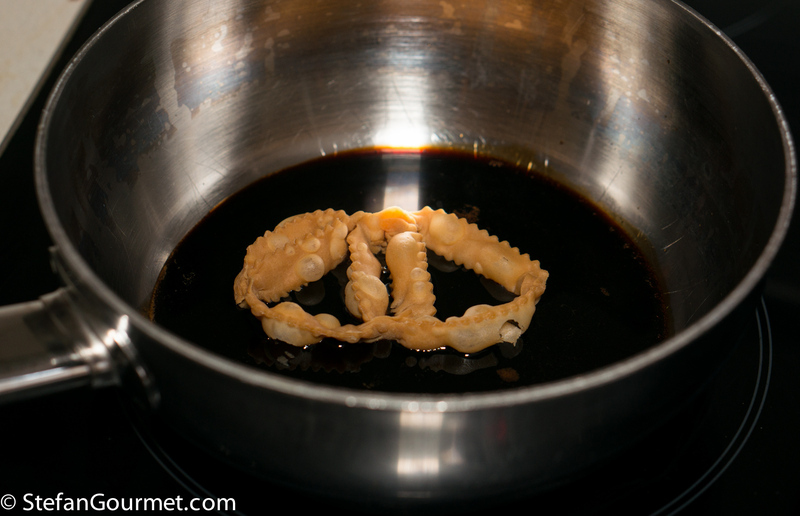 Lift the cartellate out of the oil when they are golden brown on both sides. 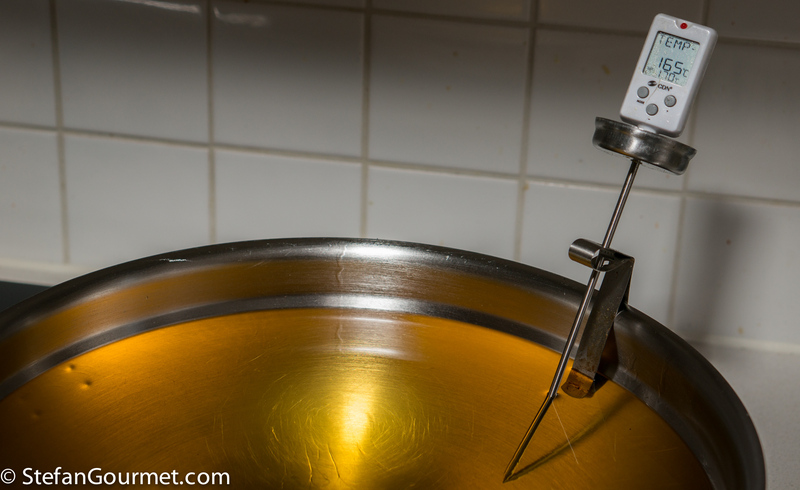 Allow them to drain on a rack to get rid of any excess oil. …or some honey. Serve at once. 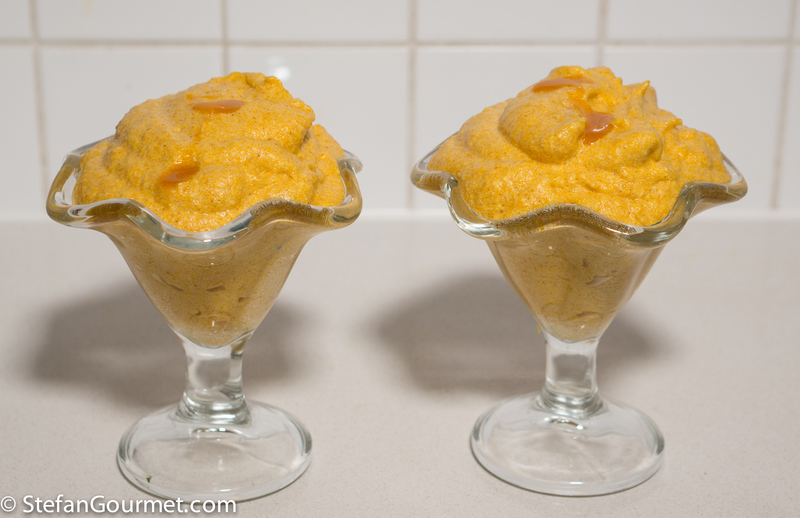 My pumpkin mousse is feathery light with a good balance between the pumpkin flavor and the spices, and only mildly sweet. This is a great dessert if you want something that is light yet festive. 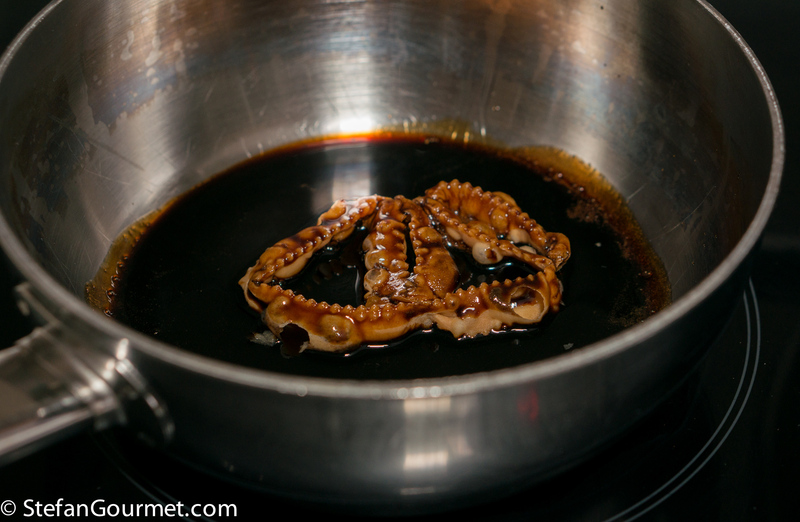 Can’t wait to see some recipes from Costa Rica. Such an intricate and elegant dessert. These beautiful ribbons remind me of Hungarian Csöröge Fánk (Angels’ Wings). 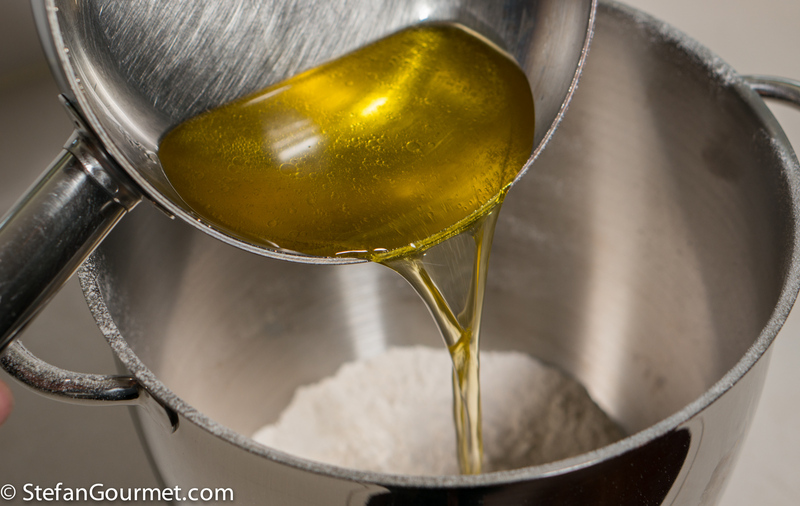 We used to just sprinkle with powdered sugar but the honey sounds wonderful. Anche le cartellate. Io non ci credo. E con il righello. Stefan sei unico! Com’è il Costa Rica? Grazie Paola. Il Costa Rica è bello e caldo. Il cibo è semplice: riso e fagioli con pollo, suino, o pesce. Tanta frutta. In Costa Rica non sono tanto poveri. Per esempio, più ricco che in Bulgaria e 12 volte più ricco che in Zanzibar.